Traditionally, international investment law was conceptualised as a set of norms aiming to ensure good governance for foreign investors, in exchange for their capital and know-how. However, the more recent narratives postulate that investment treaties and investor–state arbitration can lead to better governance not just for foreign investors but also for host state communities. Investment treaty law can arguably foster good governance by holding host governments liable for a failure to ensure transparency, stability, predictability and consistency in their dealings with foreign investors. The recent proliferation of such narratives in investment treaty practice, arbitral awards and academic literature raises questions as to their juridical, conceptual and empirical underpinnings. What has propelled good governance from a set of normative ideals to enforceable treaty standards? Does international investment law possess the necessary characteristics to inspire changes at the national level? 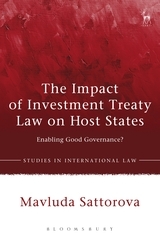 How do host states respond to investment treaty law? 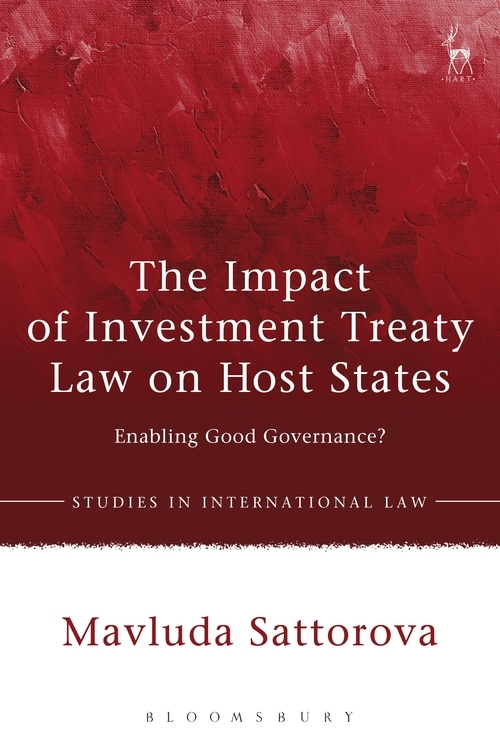 The overarching objective of this monograph is to unpack existing assumptions concerning the effects of international investment law on host states. By combining doctrinal, empirical, comparative analysis and unveiling the emerging 'nationally felt' responses to international investment norms, the book aims to facilitate a more informed understanding of the present contours and the nature of the interplay between international investment norms and national realities. 3. How Do Host States Respond to Investment Treaty Law? III. Are Government Officials Aware of International Investment Law and its Good Governance Prescriptions? VI. Internalising Investment Treaty Prescriptions: Why, at Whose Behest and What Cost? II. Can State Compliance with Good Governance Standards be Fostered through Monetary Sanctions? IV. Compliance and Optimal Remedy Design: Punitive, Non-pecuniary, Multi-tiered? I. Is the Investment Treaty Regime Compliant with Good Governance Standards? Dr Mavluda Sattorova is Senior Lecturer at the School of Law and Social Justice, University of Liverpool.